The Indian Masters has been removed from the 2009 European Tour International Schedule following the recent Mumbai terrorist attacks. 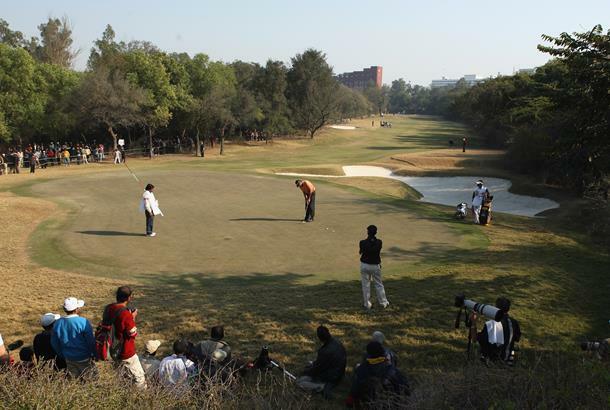 Co-sanctioned by The European Tour, the Asian Tour and the Professional Golf Tour of India (PGTI), the event was set to be played at the Delhi Golf Club, New Delhi, on February 5-8. Mohamed Juma Buamaim, Vice Chairman and CEO of ‘golf in Dubai’, said: “We have done everything possible to ensure that the second edition of the Indian Masters was played in 2009 but with this tournament we considered that the current economic uncertainty coupled to security concerns made it impossible for us to present the tournament in the manner that we would wish for world class golfers." "The inaugural Indian Masters played earlier this year created quite a buzz in India with the home-grown talent SSP Chowrasia beating a strong field to take the honours. "The tournament, the first on The European Tour to be played in India, provided the home players an opportunity to hone their competitive skills in the company of some of the world’s finest players and we are confident that we will achieve this again in 2010." George O’Grady, Chief Executive of The European Tour, said: “We share with ‘golf in Dubai’ their disappointment that the Indian Masters will not be played in 2009. "We understand, however, the economic challenges they face with title sponsorship and we are optimistic that this event will return to the schedule in 2010."